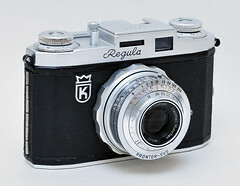 Regula is the camera brand of the German firm King between the 1950s and 1980s, they were widely exported all over the world, designed to be well built and affordable consumer cameras. There are a vast range of models and variations on those models. 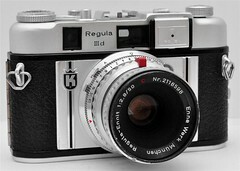 There were 3 major design styles in the 1950's with the I, II and III series of models all being quite distinct from each other. By the 1960's the models all look roughly similar with some cosmetic and feature variations here and there, rumor has it this was done to save money by using up spare parts left over from other model's production runs. 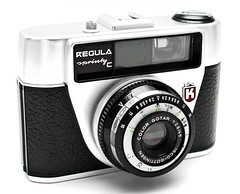 After a costly lawsuit which they lost in the late 1960's King redesigned their models to be made cheaper and the quality of the cameras took a sharp downturn. King limped on through the 1970's and early 1980's until declaring bankruptcy in 1984. This page was last edited on 10 March 2019, at 10:30.